The floating environments figure* and table* allow adding wide, single-column tables or figures in a two- or multicolumn document. The example makes use of the multicol package. For two columns, it is sufficient to use the documentclass-option twocolumn. The starred version of figure, figure*, and table, table* are floating environments. 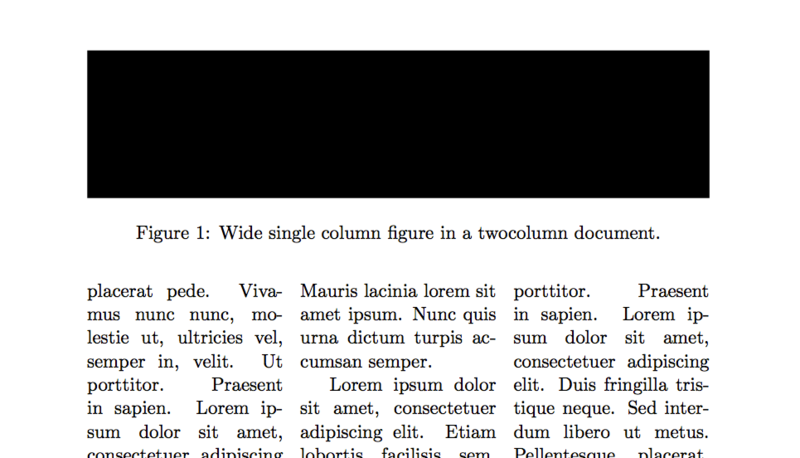 Therefore, LaTeX will place the figure only on the second page, rather than at the beginning of the document. It works exactly the same way for tables. It works exactly the same for side-by-side figures and tables (subfig package). See my post on that topic for more details. In this example, the dblfloatfix package is loaded. It “fixes” an issue with the floating environment and allows placing figures and tables at the bottom of a page. By default, figures and table will always be placed either at the top of a page or occupy a whole page. In the last example, we saw that it is possible to “fix” the float issue using the dblfloatfix package. However, there is no way to place the figure in the middle of the page, using the option [b]. Mixing “starred” and “non-starred” figures/tables is possible. For LaTeX to display the floats in the right order, load the fixltx2e package. Please post a minimal example of your MakeFile so I have a starting point. I sometimes use \blindtext to insert placeholder text for illustration. See the Blindtext package documentation for more details. Please remove it when using code from my site. TeX/LaTeX will try to find the best location for floating environments such as table. This might not always be where you might want them, especially large tables. You can control placement of floating environments to some extend. or use \clearpage to print the table and start a new page. Hi Tom. 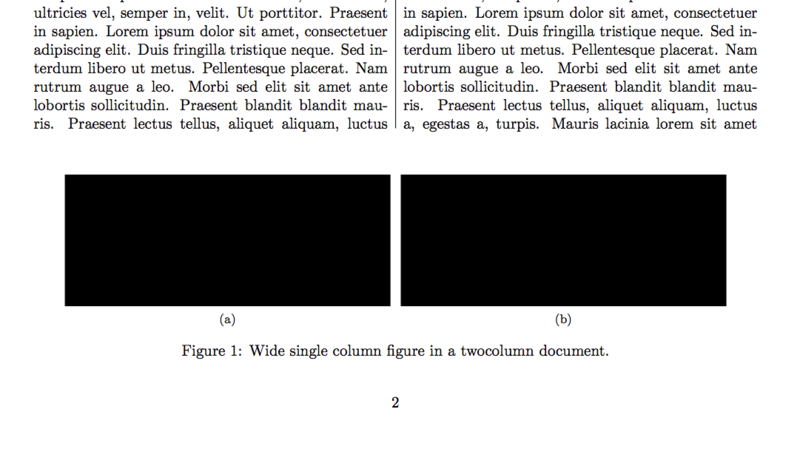 It is possible to have a figure with a width of just two, in a three columns document? I’m sorry to say that I don’t think this is possible in a fully automated way. My suggestion would be to use all three columns, possibly placing the caption on either side of the figure. The link to your post about subfigs contains a typo. Cheers though, helped me out!